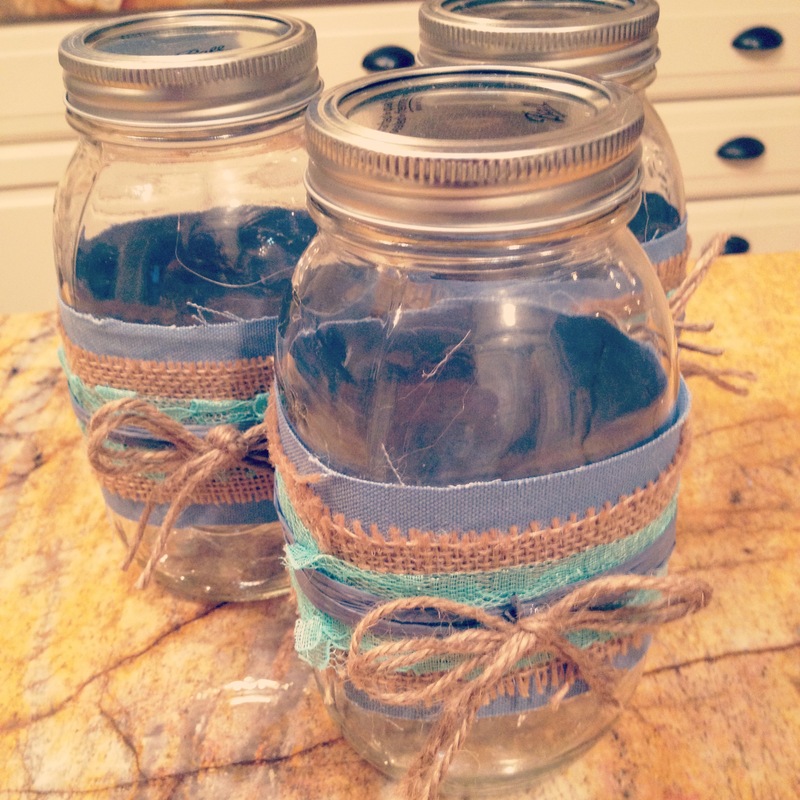 Crafting is something we love to do at S&A Studios. Here we will post new crafts for you and your families to create together and enjoy. 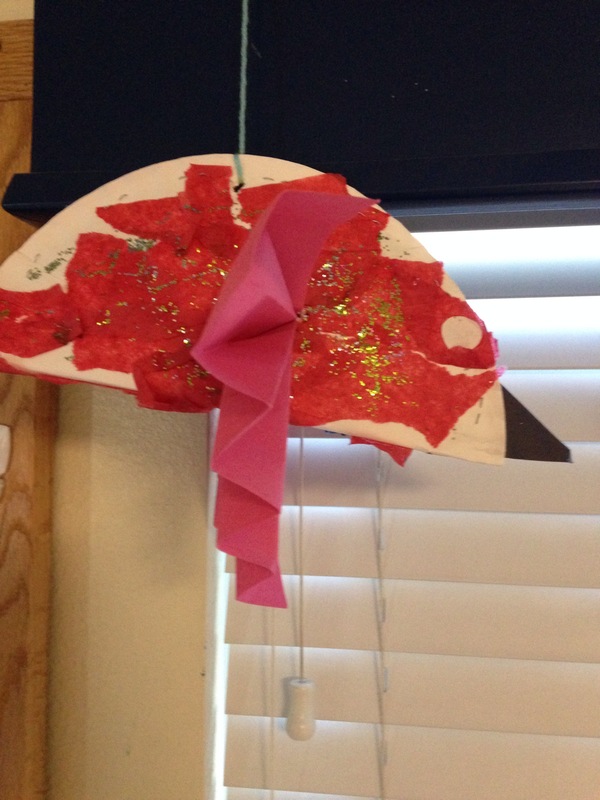 Check out our Dragonfly craft below! Many of you either stumbling upon this little website, or visiting it via a reference…Welcome! Below you will find your reference to the quick tutorial on how to make a dragonfly. Soon we will have a new page setup where you can view the craft. Check out the pictures below and don’t forget to write down the supplies you need! Happy Crafting! These pumpkin hats are so much fun to use for dress up, parties, and center pieces on tables. Your child will love making this adorable hat and will be so proud to show it off! Below are the supply list and instructions on making them! Cut a hole in the bottom of the bowl small enough to keep the cork in the hole snuggly but large enough so it doesn’t rip. Insert cork into hole and turn upside down so the bottom of the bowl is facing upwards. Paint over the entire bowl and cork with the orange paint, let dry. Flip the bowl over and paint the inside of the bowl orange, let dry. Once both inside and outside are dry turn the bowl back over so the bottom of the bowl faces upwards. Draw on “pumpkin lines” with the orange sharpie. You can have as little or as many lines as you’d like. Next use either plain white paper or green card stock and create a leaf to attach to the cork. Before attaching put a hole punch into the top of the leaf. String the green pipe cleaner through the leaf and then attach the pipe cleaner to the cork by twisting it around the cork three times. Curl the green pipe cleaner with your finger to give the pipe cleaner a springy look. As an extra you can attach a string so you may tie it around your child’s head but it isn’t needed. Now you’re finished! Make these cute little hats for you Halloween party, a birthday party in the fall, or even have them out for all the kids at thanksgiving. 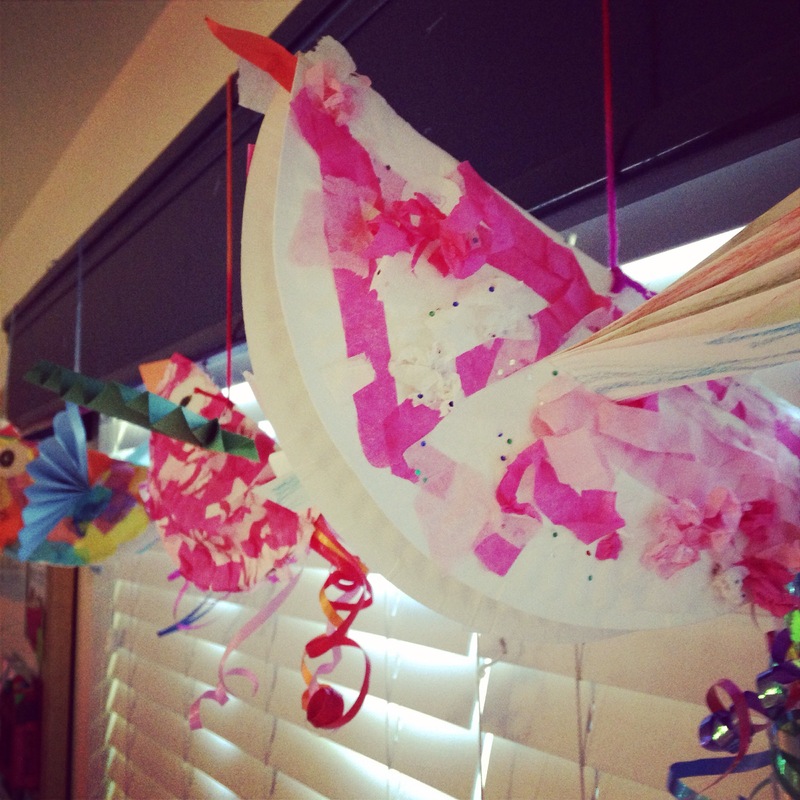 They’re a great party favor for children and their parents to play with and create. 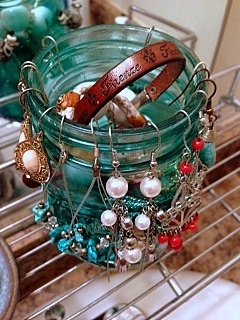 Mason Jars, re-used candle jars, and Apothecary Jars are some of my favorite types of jars to use for jewelry and storage. 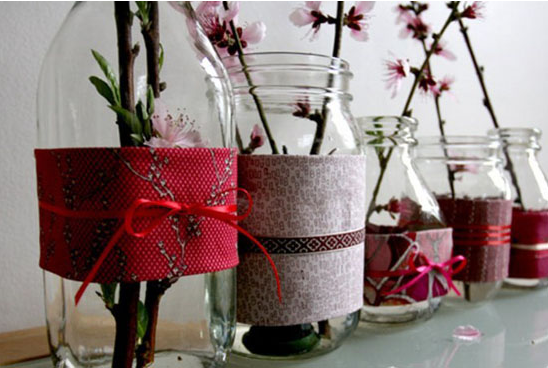 You can create cute centerpieces, interesting elements to your room, and even a shelf that not only is used to hold onto your jewelry, but for storage as well. 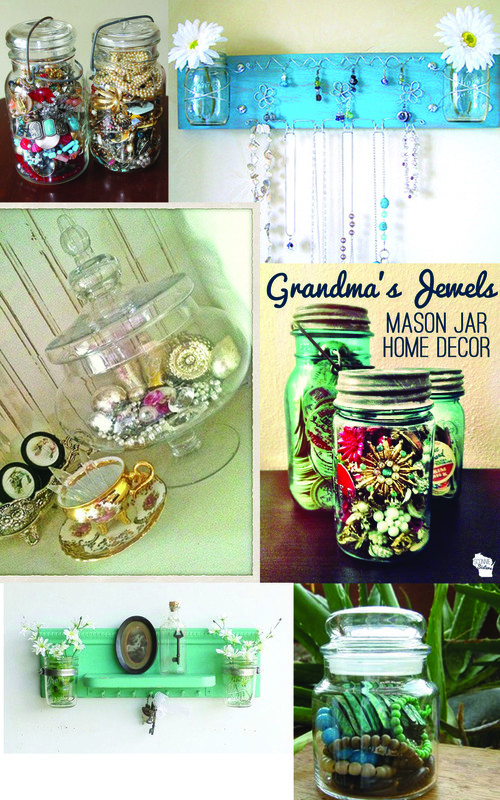 Check out the images below for inspiration, and also take a look at the supply list so you can create your own jar style jewelry cases. – Your choice style of hooks *note, you’ll need as many hooks for however long you wish to make the shelf. My personal choice is to create a shelf that’s 2 ½ ft long. For the shelf you’ll need to follow directions based on the style of shelf you decide to create, also, in addition to the style and paint, there are awesome wood decals available at craft stores that you can apply with wood glue. *Note, make sure to apply the wood decal before you paint the wood. This is one of my favorites to do with little kids, it’s so simple! Grab a set of paper plates, some tissue paper (it can be any color, multi color, one color, two…), Elmer’s glue, construction paper, and ribbon. Flip the paper plate over and decorate the back however you’d like, then once dried, bend the plate in half and staple the sides. The belly of the bird should be the rounded part of the plate. After stapling the plate together add a beak and an eye on each side. Choose two sheets of 4X10 construction paper and fold them like a fan, poke holes into the sides of the bird and attach wings. Lastly, pick out some fun ribbon, curl it, attach it, and call it a day! You now have a cute and fun bird to hang from your windows! 1. Colorful yarn, I typically go for this kind: “Kaleidoscope” by I Love This Yarn Brand. It’s a colorful yarn, with a little bit more of a rainbow effect going on, but you could literally use any yarn at your disposal. 2. 20 gage Copper Wire. Beading section at Michaels or Hobby Lobby. There are some Aluminum wires out there you can use, but they are easily bent (great for kids under 8). 3. Black pipe cleaners, commonly known as Chenille sticks in the art world. I like to use two sticks for my own projects at home, but one will do just fine! 4. Small acrylic gems. These come by the tub, so you’ll be purchasing a lot all at once, but you will be able to use them for many other projects down the road. 5. Colorful feathers. I choose to use Guinea Hen feathers of assorted colors. They’re very fun! 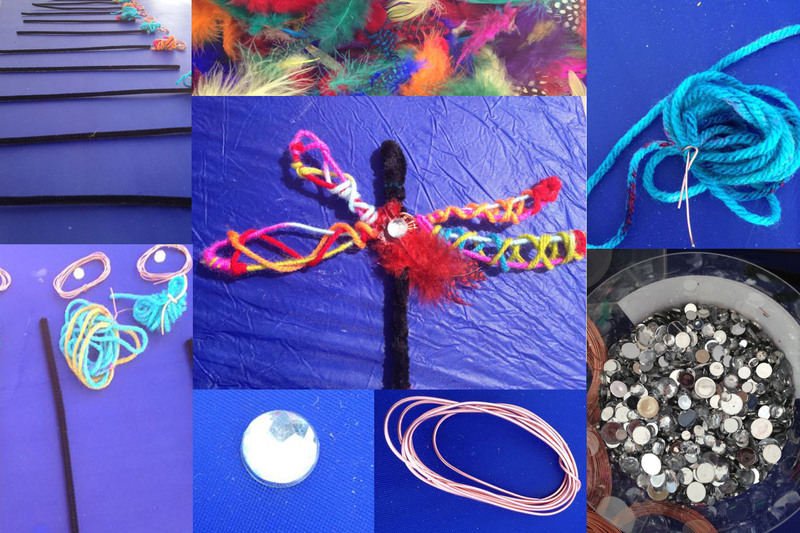 Once you have collected all the needed items to make your dragonfly you can begin to craft it at home. One quick note about attaching your feathers and gems is that you want to make sure to use a tacky glue, or even a hot glue gun. The hot glue gun works the fastest, but both work splendidly for keeping the parts together. Check out the photos below for ideas as to what you’re looking for in terms of supply! The steps are listed below, Video to come soon! 1. Take your Chenille Stick and fold it in half, then twist it until it is completely twisted together. Now you have the body! 2. OPTIONAL; Take yarn and string it around the Chenille stick creating a spiral pattern, a zigzag pattern, or completely covering the Chenille stick. To secure it you will be tying one end onto the top of the Chenille stick, and then once it is twisted you will tie it off on the end you finish. Now you have the body! 3. Take your copper wire, and measure it out to be anywhere between 27 and 45 inches. (the size only matters if you want larger wings, or smaller wings). 4. Take your wire by one end and place it on top of your dragonfly’s body. Twist the wire around two-three times, then pinch the wire closest to the body pull out along the wire and create a loop, then bring the wire around the body and create a second loop. Now one half of the wings are done! Repeat this process for the other side. 5. Once your wings have been created you will take your feathers and glue them anywhere along the body, or on the wings. 6. Glue the gem on. I prefer to place it in between the wings, but you can put it anywhere or even make eyes out of two smaller gems. 7. You’re done! Now you should have an awesome looking dragonfly. If your wings are rounded, remember that’s a Butterfly! Dragonflies have thinner stretched out wings! Below is the video tutorial on how to make the dragonflies. Subscribe to my channel and enjoy! Artsy Canvas using new Clouds Stencil with Mini Dragonfly Album!